SHARE OUR OVER THREE DECADES WORTH OF KNOWLEDGE TO GET EDUCATED ON YOUR ROOFING NEEDS. The Nestle USA plant in Anderson, Indiana serves as the company's U.S. headquarters for the production and distribution of many of their edible products. In 2009, when Nestle management decided to expand the facility by more than 200,000 square feet, the company needed a commercial roofing company to design and install a custom roofing solution tailored to the expansion designs. Because of Bloom Roofing's proven track record of working on manufacturing and distribution facilities, Nestle eventually partnered with Bloom Roofing for our best-in-class roofing systems and expertise. Bloom Roofing's industry-leading design and planning team developed plans for a mechanically-fastened PVC system uniquely designed for the 208,235 square foot area. Though the installation was not over Nestle's manufacturing or distributing areas, Bloom ensured the building remained 100% protected while completing the installation. In the end, the newly installed roofing system provided the Nestle U.S. headquarters with maximum building protection and greatly improved energy efficiency. Are you looking for a best-in-class commercial roof replacement or repair? 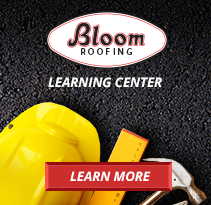 Contact Bloom Roofing's team of experts here.